Homes vs. Condominiums: How much extra do you pay? Recently, I blogged about the fact that condominiums seemed to be holding up better than single family homes in terms of their decline from their all-time highs. At the same time, I noted that there was only about $100,000 difference in median value between condos and homes. That seemed like a small delta and I was interested to see whether it was, historically speaking. Turns out that it is. Since, until recently (ahem! ), home prices along with everything else have tended to go up, I decided not to look simply at the difference in price between condos and homes. Instead, I converted the price difference to a percentage of the median value of condos sales for the given period. 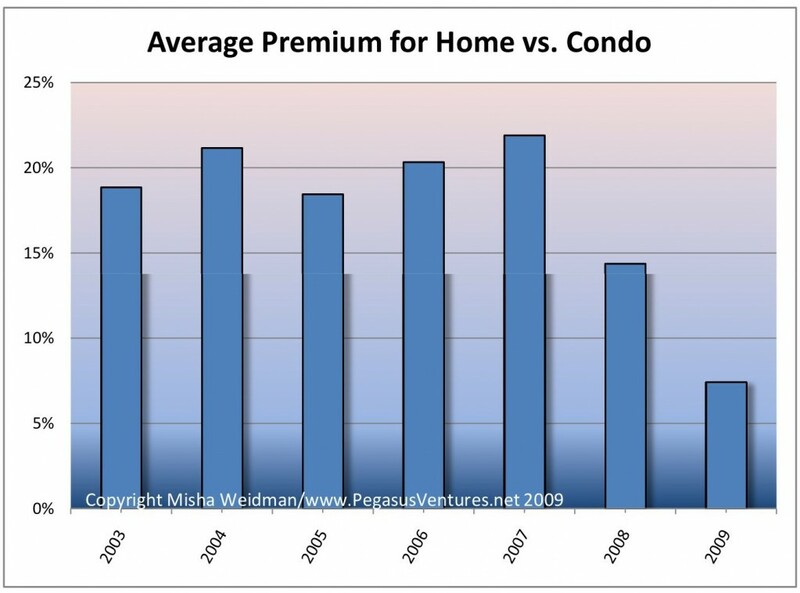 This represents the “premium” for owning a home rather than a condo. Here’s the result. Sure enough, you’d normally expect to pay around 20% more for a home than for a condo. 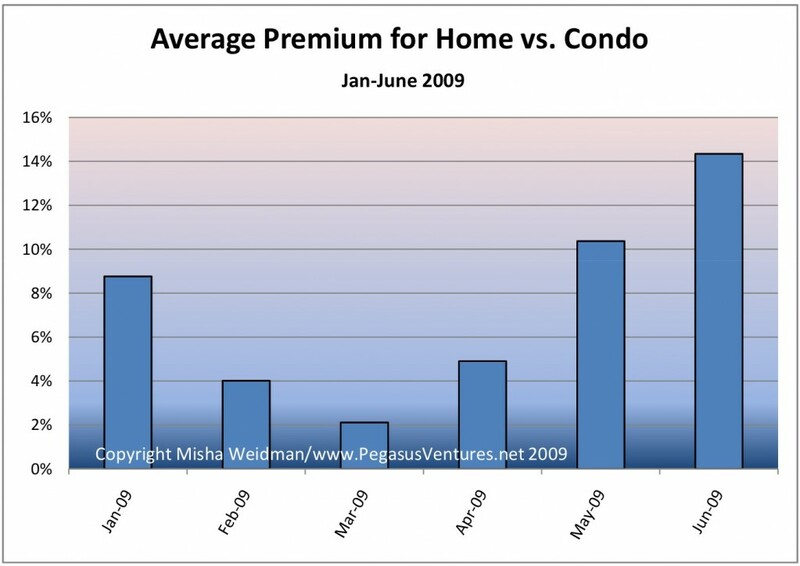 But starting in 2008, the home “premium” started dropping significantly. I believe that drop was a direct reflection of the housing market decline that began with homes and only subsequently spread to condos. As I postulated in my blog, condo values possibly held up for longer as people got squeezed out of the single family home market by tightening credit standards. But what about 2009? The chart above shows the premium based on all sales for the year to date. The picture looks a little different if you look at values on a monthly basis. Again this is consistent with my previous blog. It suggests while that condo values may have held up longer, they too have fallen so that the premium paid for a home is now heading back to its historic norm. 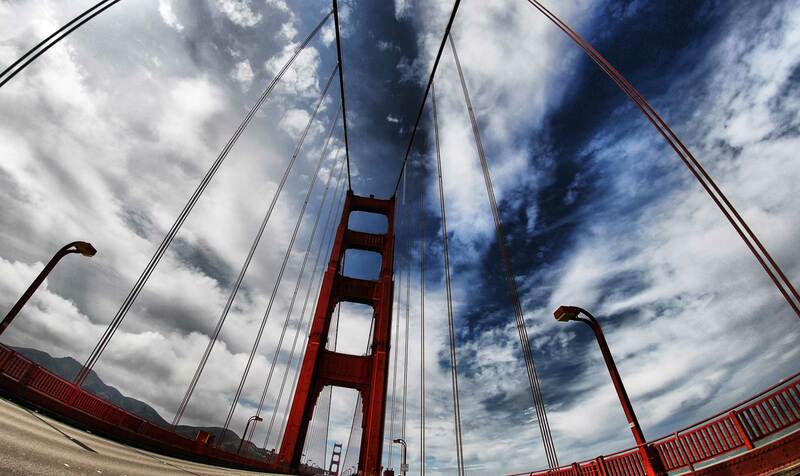 Of course, the other possibility is that home prices are beginning to recover. It may well be that both explanations are true.